The view from the top of one of our backcountry destinations. 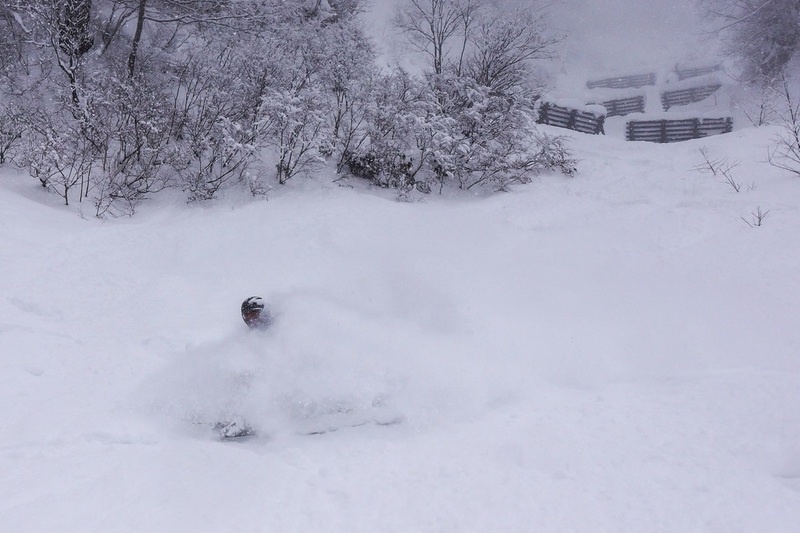 Earn your turns! 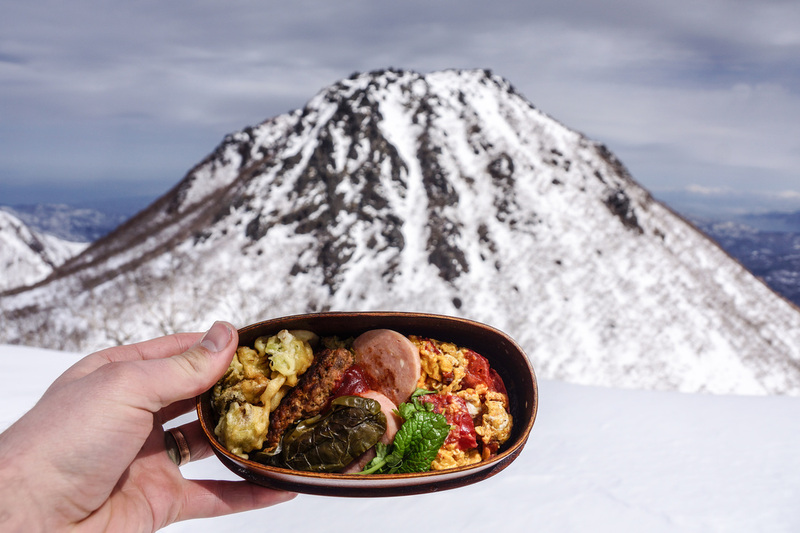 On Day 6, we'll be heading to Myoko, one of Honshu's deepest mountains with great terrain. 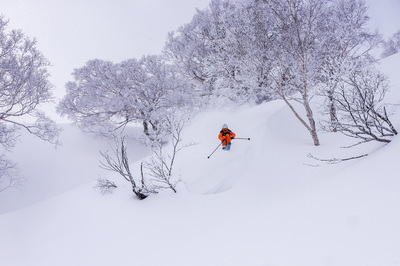 While the ski resort we'll be visiting there is fantastic, we also wanted to offer you the option of joining a backcountry tour (additonal¥15,000 JPY, check the box when you book!) with the most experienced and fun touring service on the mountain. What is the backcountry tour like? ﻿From Myoko, we tour regularly to peaks accessible from all the major ski areas nearby. We'll take the area lift as high as we can, then hike up to the summit—usually at about 2,000 meters (6,000ft). This means a climb of about two hours, depending on the group and the destination. 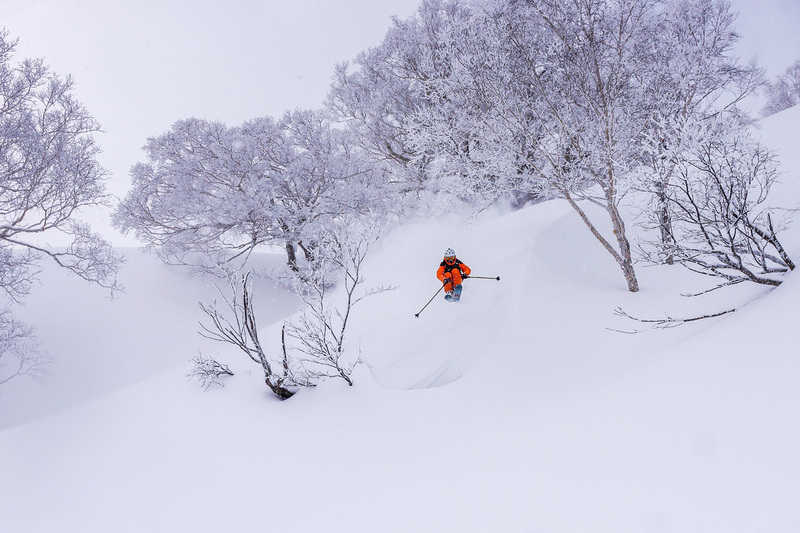 After a leisurely lunch on the peak we ski down through the best terrain Myoko has to offer. 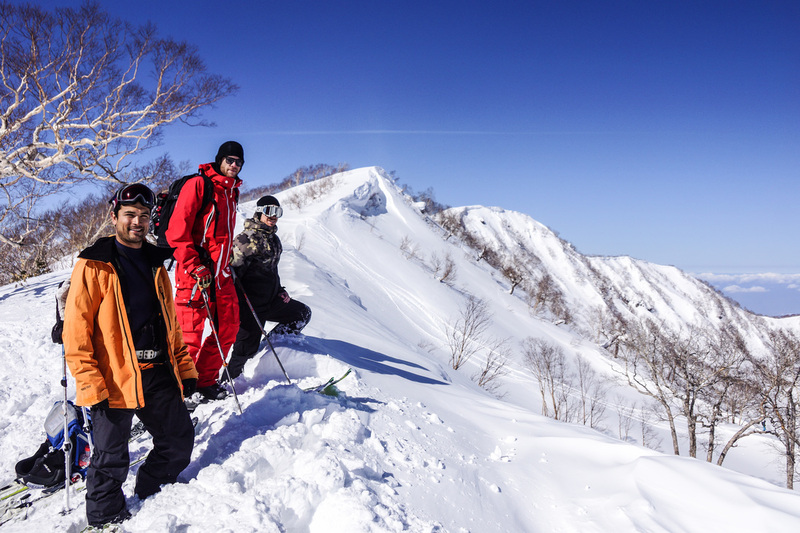 From open steeper slopes up high to beautiful old beech growth forests down low, you will enjoy the full Myoko-style experience. Once the long adventurous decent is complete—usually 1-2 hours going down, you will be truly ready for the hot springs. This tour is for advanced riders, but previous back country experience isn't necessary to participate. Your tour fee includes everything for the day: transportation, guide fee, Japanese bento lunch (let us know about any dietary needs) and insurance. We can also provide you with any additional gear you will need, from touring skis and skins to snowshoes and avalanche gear. 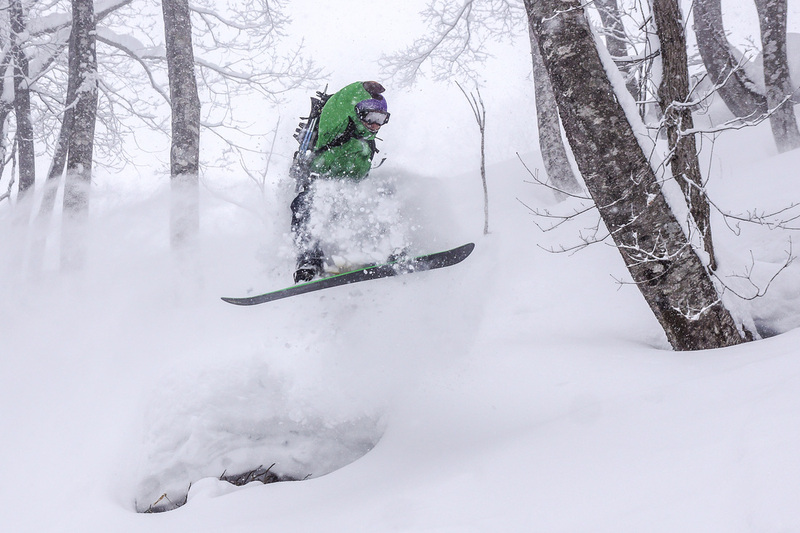 Come join us for an exciting day in the Myoko backcountry! Note: in the event of a cancellation due to bad weather or high avalanche risk, your tour will be cancelled and your ¥15,000 payment will be fully refunded. 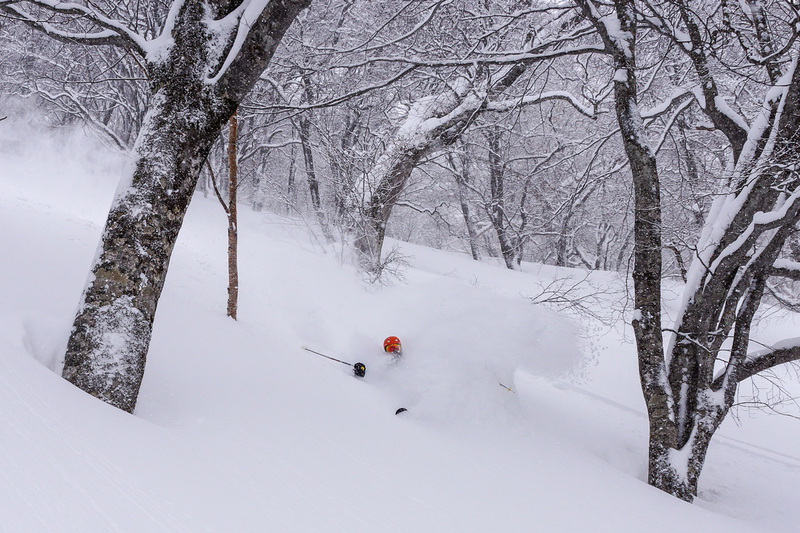 These are some pictures from the backcountry guided tours done on Myoko in the past.